If you are reliable, trustworthy and have a can-do attitude, Colbrow Medics has Event Paramedics jobs and opportunities for you. Are you a Qualified Paramedic with the desire to pick up some extra work? We have employment opportunities for Event Paramedics who are looking for more variety. There is often a need for Qualified Paramedics to be in attendance at high risk events, such as horse riding, pony club events, motor racing and music festivals. Event Paramedic jobs are available throughout Melbourne, Sydney, Brisbane, Adelaide, Perth, Canberra and Hobart. Paramedics must work under the scope of Colbrow Medics’ Clinical Practice Guidelines (CPG’s) and in accordance with best practice which may be in line with State Ambulance CPG’s. 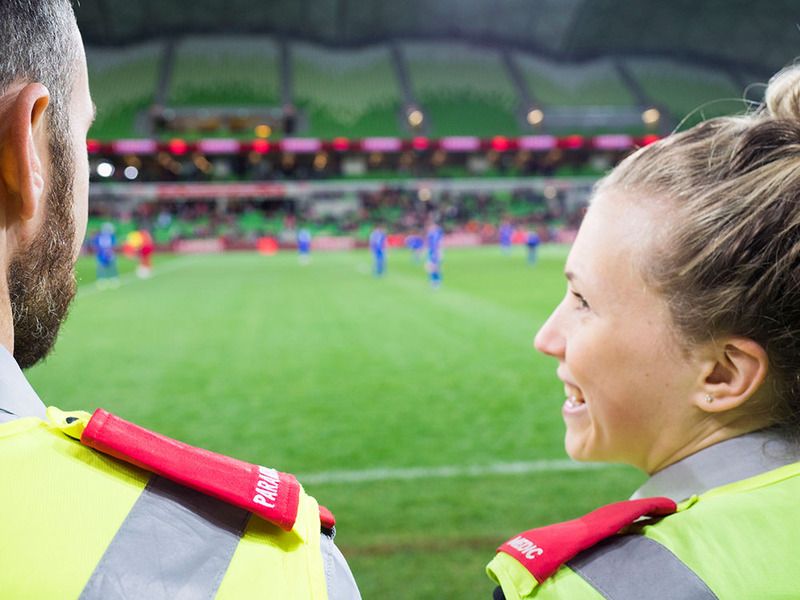 Event Paramedics jobs and opportunities for employment increase significantly if they choose event first aid jobs which can include Film & TV Productions such as House Rules, The Voice, X-Factor and Australia’s Next Top Model. Colbrow looks for Paramedics who are flexible, team players, willing be professional whilst having fun at events applying their paramedical skills. When allocated a major event, including music festivals in Melbourne, Sydney or Brisbane; Paramedics will work under the clinical direction of the Colbrow Doctor and will work along side Colbrow’s Registered Nurses. Paramedics will work in a Medical Assessment Team (MAT) to ensure the best possible patient outcomes.